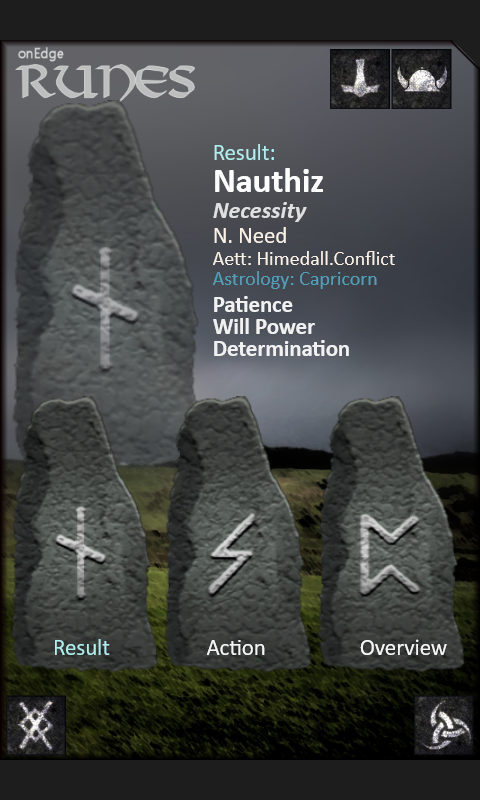 Classic overview, action, and result three rune spread using a stylized rune set. Each rune contains key word meanings including Aett and astrological associations. 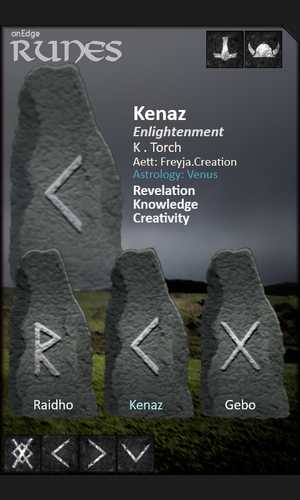 OnEdge Runes contains a full 24 rune set with user selectable inclusion or exclusion of reversals. 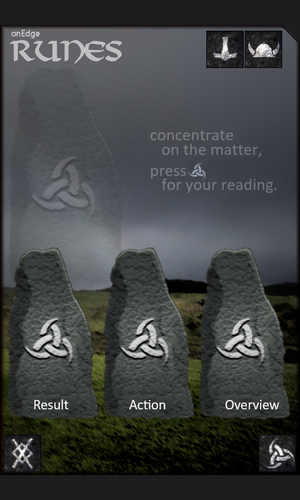 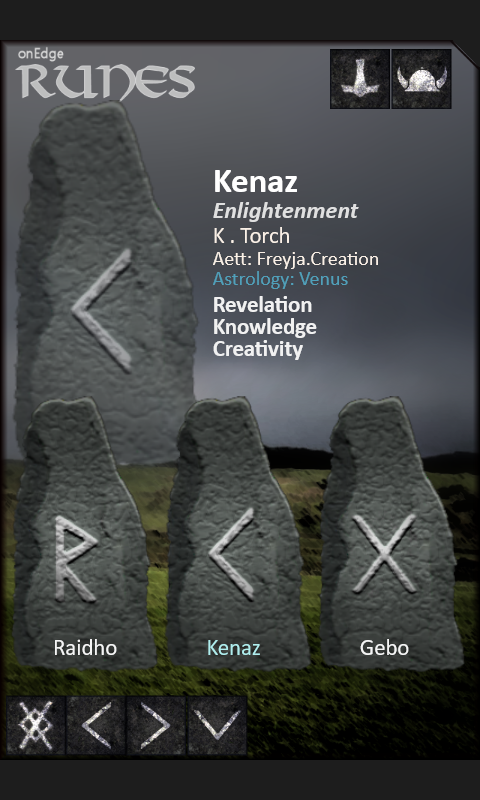 The app also contains a View Mode for quickly viewing all runes and their meanings.